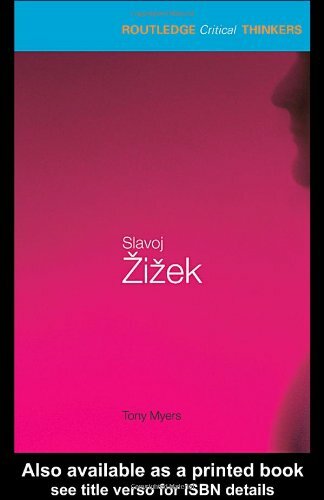 Tony Myers has written an engaging guide to Slavoj eZiezek's key ideas, explaining the main influences on eZiezek's thought, most crucially his engagement with Lacanian psychoanalysis, using examples drawn from popular culture and everyday life. (We Don't Have To): Popular Culture and Philosophy? Is This Not The Way to Read Zizek? What is A Subject and Why is It So Important? What is So Terrible About Postmodernity? How Can We Distinguish Reality from Ideology? What is The Relationship Between Men and Women? Why is Racism Always A Fantasy?